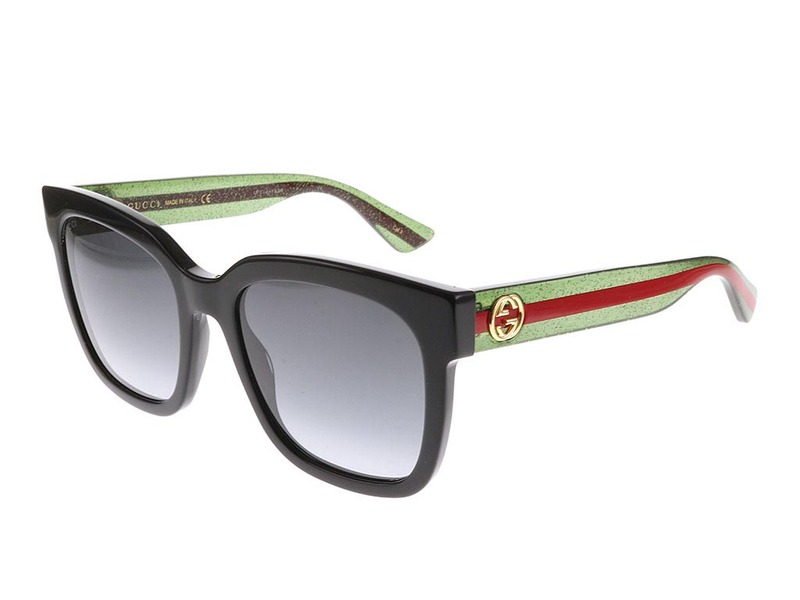 Order in next 14hrs 24mins for next working day delivery. 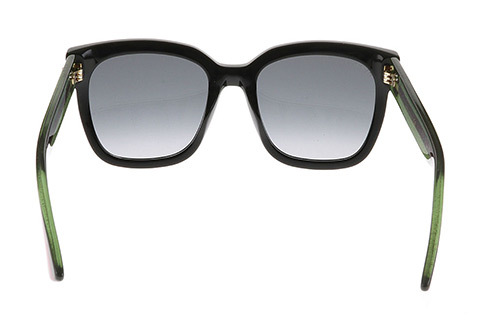 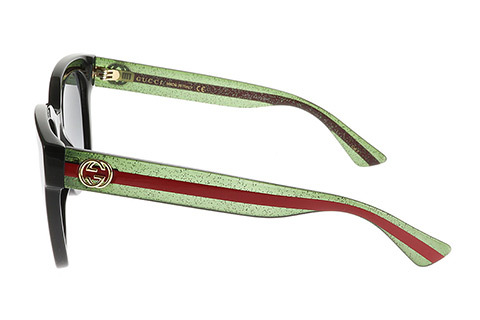 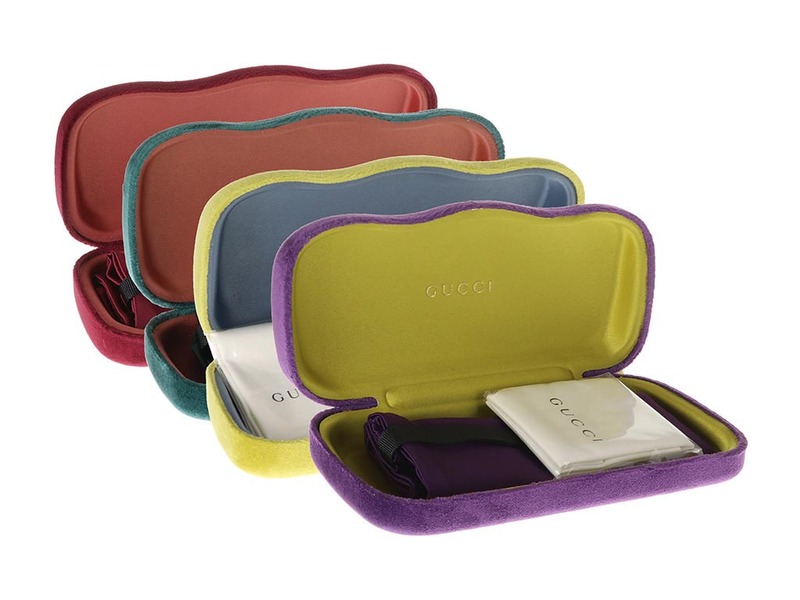 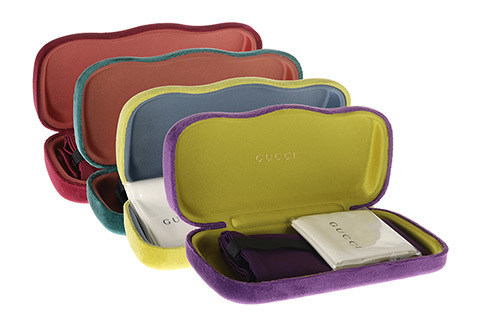 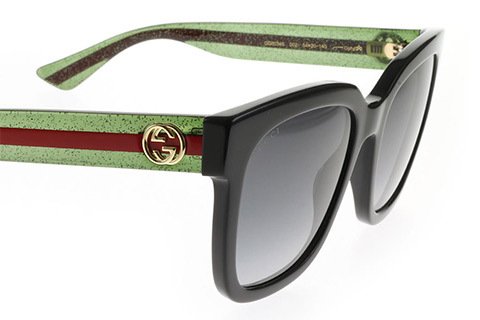 Make a statement with these luxury Gucci GG0034S sunglasses for women. 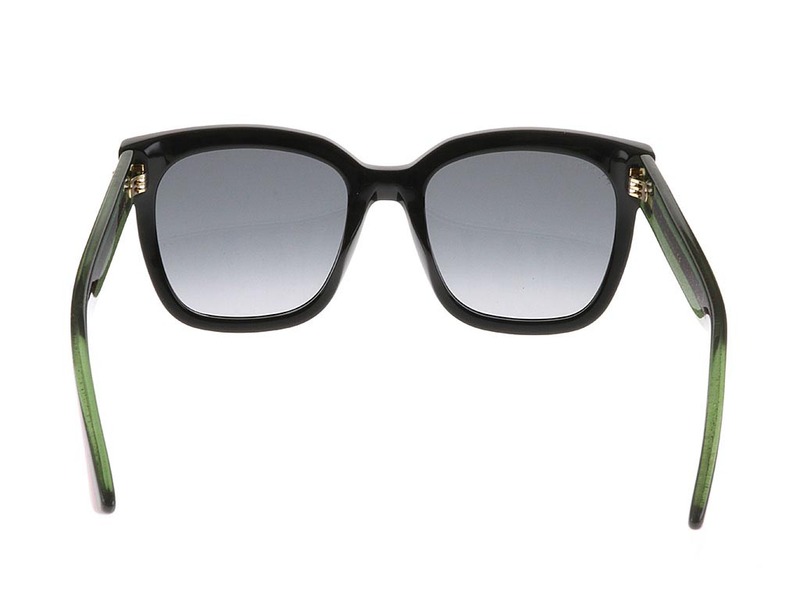 Made for any occasion, the square silhouette accentuates angles on your face for a sharp and chic look. 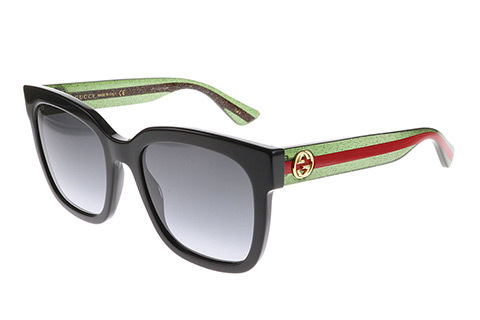 Surprisingly lightweight, the frames are crafted from a strong and durable black acetate, with glittered green and red stripe temples to represent the iconic Gucci brand. 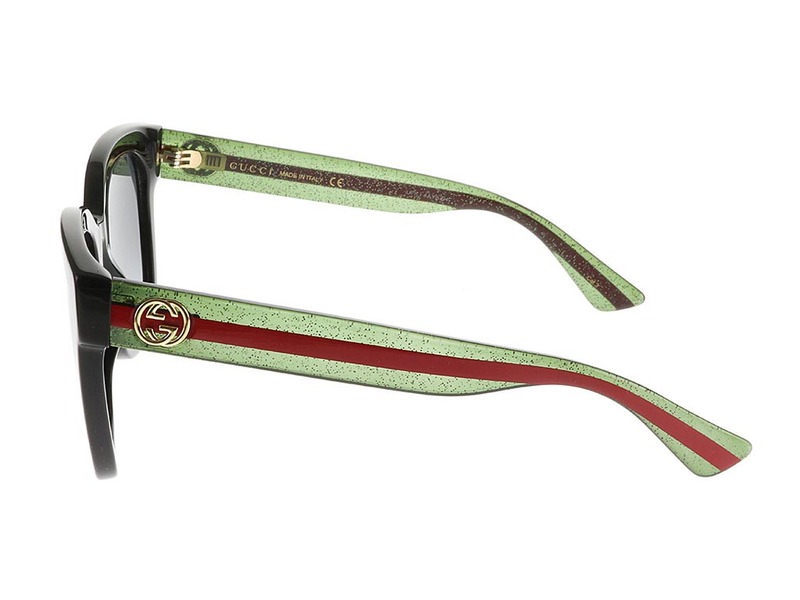 To ensure authenticity, the temples are embossed with the signature GG logo, adding towards the stylish design. 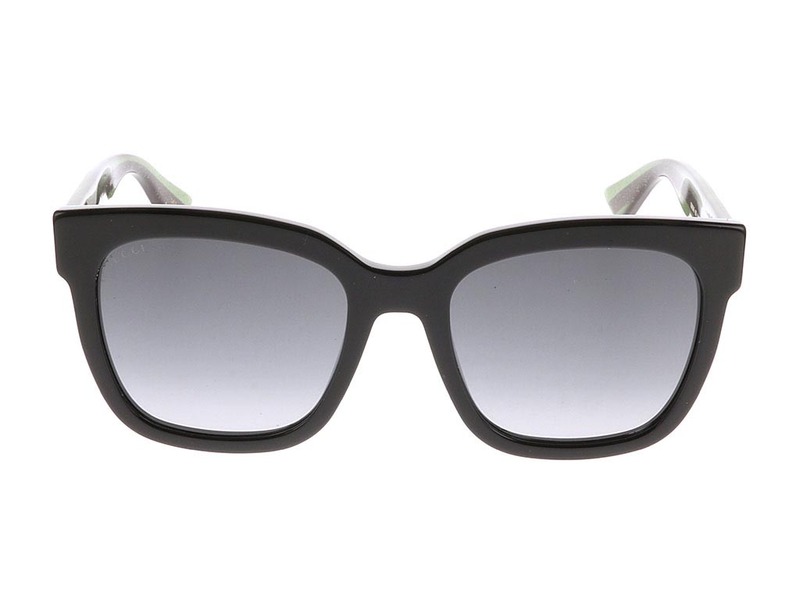 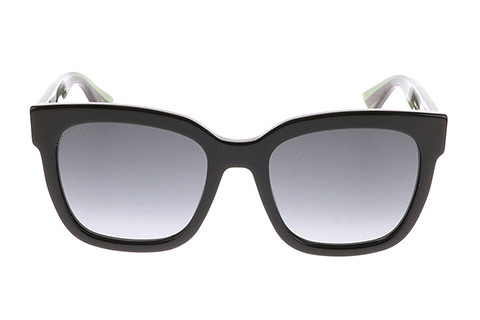 Grey gradient lenses complete these GG0034S square sunglasses and are 100% UV-protected. 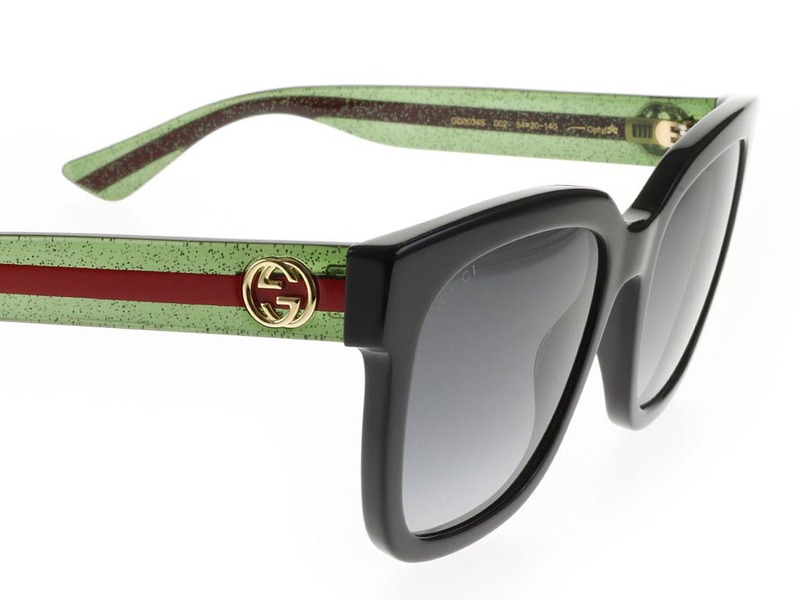 Our Price Match promise at Feel Good Contacts will guarantee you’re getting the cheapest price in the UK for sunglasses.